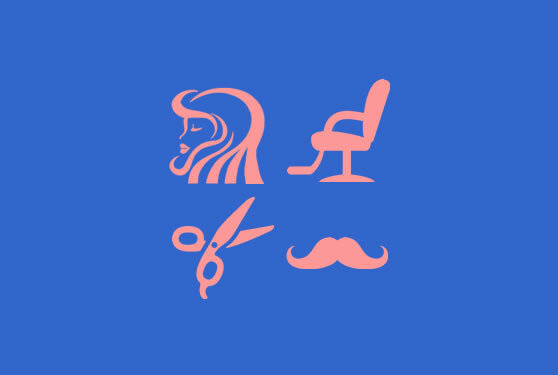 Hiboutik is a highly adaptable POS software solution for barber shops, beauty and hair salons and spas. Designed for professionals please check below a brief summary of all the features of our free POS software Hiboutik. From a single interface, you can quickly monitor your services performances and products sales. 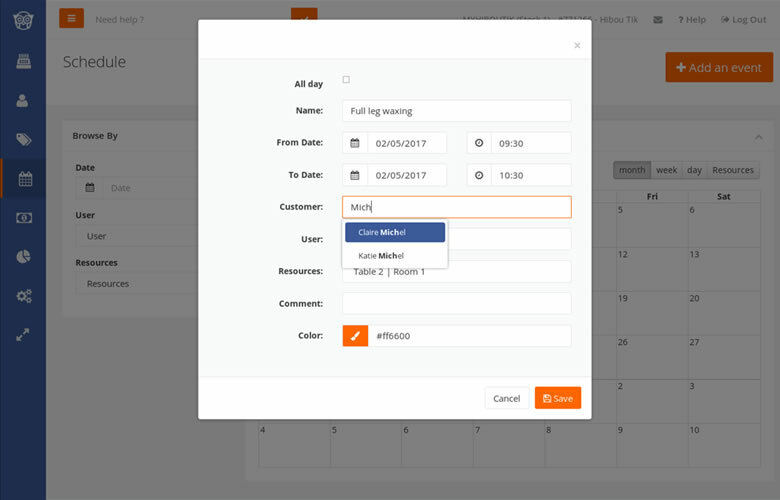 With regard to your services you will be able to track packs and subscriptions purchased by your customers. Also, you will be able to control your inventory, set re-order points or create special promotions. It is important to distinguish these two types of activities, products and services, in order to optimize sales tracking, reward employees accordingly, and analyze their productivity and commitment. In our example, a beauty salon, we first create our different categories: waxing, facials, body treatments, makeup, nails – manicure and beauty products. 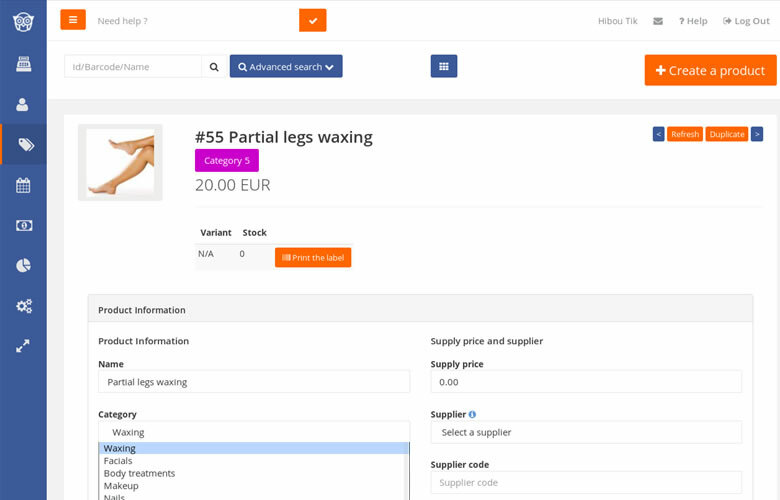 In each category, we can create as many sub-categories as we want (for example, face, body, legs and packs with sub-categories of “waxing”). For “beauty products”, we can create sub-categories according to brands or product types, classifying them based on our organization or supplier´s codification. 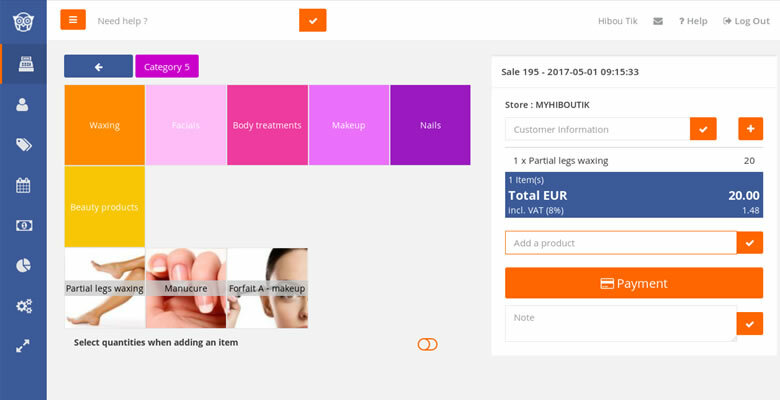 With an accurate classification of products and services, we can get an analytical view of our sales in the Reports tab, for example, what share of my turnover are cosmetics brand X sales? Then we shall create on the Products tab all those products and services we are planning to offer, associating them to each category. For example, we add the partial legs waxing at 20 eur to the category waxing / legs. For products, we can associate them to a brand or a supplier, to keep track of sales by these two criteria. If we want to track the inventory of a product, we need to check-mark the “inventory management” option. Then we proceed to a stock-order (Products/stock orders) to add quantities into stock. Hiboutik includes a comprehensive program to manage our appointment book. It is very simple, we can track each of our employees appointments. The calendar provides different views (per user, per day, per week, per resource …) that allows a quick and accurate picture of the occupation. It is essential for any business to retain as many customers as possible. Therefore Hiboutik can easily manage your customer database. You can propose subscriptions and packages (ie, 12 treatment sessions for the price of 10). First, we need to create a subscription product. Then we sell it, and we add the final value of the subscription in the Prepaid purchases account of your customer. When your customer redeems the subscribed service or product, we deduct its value from his Prepaid purchases account. You can read the following article explaining how managing subscriptions in your Hiboutik account: Managing prepaid purchases account. You can also assign loyalty points with every purchase made (on products or services) for a later reward, when the client reaches a certain threshold of points (deals, discounts …). For example, after 10 hairstyles, you get 1 dye. You can read the following article explaining how managing loyalty in your Hiboutik account: Loyalty programs. Free POS Hiboutik is already operating in many beauty salons and barber shops, create your account now!